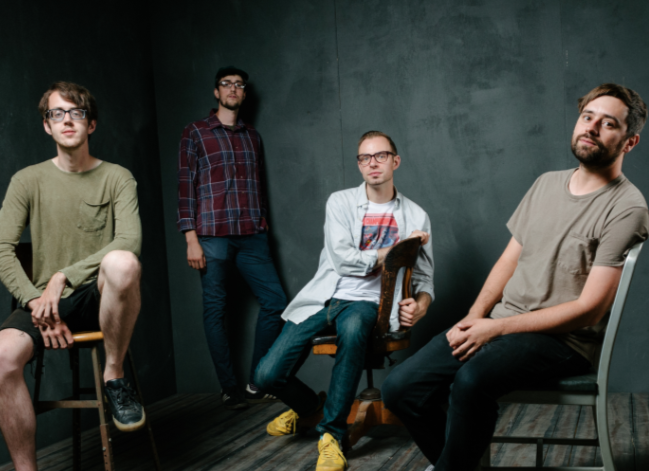 Cloud Nothings’ new album Life Without Sound is their most reflective and lyrically powerful release yet. It’s also one of the most highly anticipated albums of early 2017, and it was without a doubt worth the wait. 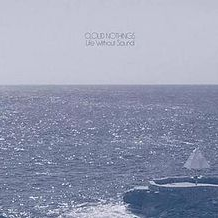 Life Without Sound opens up with ‘Up To the Surface’, which possesses an ominous sounding winding piano in the beginning. It’s simple yet effective in its role to create suspense, and it ultimately sets the scene for the proceeding eight tracks. The instrumentals are stunning and marry impeccably with the vocals. Towards the end of the track, it picks up the pace, and it’s chaotic in the most beautiful way possible. However, it’s the lyrics that steal the show. The words are contemplative and capture the raw and deep emotions the album is about to deal with, especially with lyrics like “I saw life in the shadows on foreign lines / I knew peace in the terror of the mind”. The next track ‘Things Are Right With You’, flows in a different direction than the suspenseful nature of the opener. Featuring an abundance of energy, there is a twinge of pop-punk to the track. ‘Internal World’ also stars similar vibes to this. There’s no build up or anticipation. Instead, they launch straight into it. The hysteria is present more than ever on ‘Darkened Rings’, which doesn’t slow down for a single second and is amped for its entire duration. Here, the pulsing instrumentals create the madness, Baldi also shows a glimpse of what he was feeling on a lyrical level, “awake all night / the thrill of my life / saw darkened rings / with a fill of bright highlight”. In this track, he hints at an internal battle that is beginning to take control. The words of Life Without Sound are highly personal and ‘Enter Entirely’ is no exception. The track, which is about being inebriated and alone, will see the listener experience a depth of emotions. Lyrics such as “my world looks like I had only dreamed / cutting up the pieces of life and reality” are particularly gut-wrenching and will cut deep into you. It’s as if time is frozen and Baldi is standing there watching his world collapse, and there isn’t a single thing he can do to stop it. The depressive state of the album continues on ‘Modern Act’. Despite the catchiness of it, it’s words are drenched in sadness. It’s at this point I begin to accept that this album isn’t going to contain any light. There’s not going to be a glowing happy ending, and surprisingly, it’s okay. Angst and feeling down is normal, and the fact Cloud Nothings can turn these negative emotions into something as beautiful as this project is truly special. ‘Strange Year’ makes the listener feel like they are stuck in the middle of a black hole and there is no escaping it. The only way I can describe this track is like this — one moment you are in the middle of a frenzy, and then oddly things begin to calm down, but you anxiously wait for things to head south again. ‘Strange Year’ captures this constant state of anxiety, pain and suffering perfectly. The end of the album closes fittingly — with no happiness at the end of the tunnel or glowing light. ‘Realize My Fate’ capsulizes the deep personal themes with a glimmer of acceptance for what it is. The drums are prominent, and it presents an eerie feeling as if something (or perhaps someone) is lurking behind you. There is no conclusion. Instead, the battle continues. Life Without Sound’s exhibits an immense amount of growth from their prior projects. 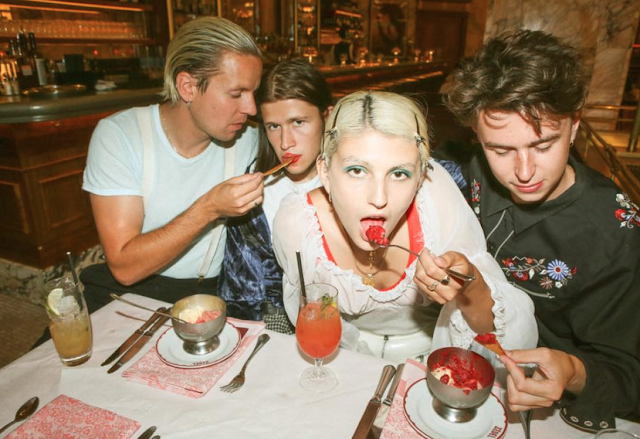 It’s shining light is it’s poignant and wistful lyrical content. All you can do is lay back, close your eyes and let Life Without Sound navigate you through the despair, anger and the perils of life.